When Tibet was first opened up for tourists back in the 1980s, traveling to Tibet was simple. You merely needed a passport, a Chinese Entry Visa, and a small and inexpensive Tibet travel permit, and could travel around the region without any problems. In 1985, China opened up Tibet to tourism, and the Tibet Travel Permit was made available for any tourist with a Chinese Entry Visa for the cost of a mere 40 cents. The permit was available from the Public Security Bureau (PSB) offices, in many of the Chinese cities. In Chengdu at the time, it could also be obtained in the popular Jin Jiang Hotel, which had its own office of the PSB, where the permit could be processed overnight. Much has changed since the early days of tourists traveling to Tibet. Backpackers are no longer permitted to wander across the region as they wished, flights are no longer the only way to get to Tibet (in the ‘80s, many backpackers would hitch rides on trucks heading along the Qinghai Tibet Highway to Lhasa). And the need to arrange everything yourself is now a thing of the past. Tibet Tour operators now arrange your whole trip to Tibet, including the Tibet travel permits, which can no longer be obtained personally. Tourists are now required to be on a pre-booked Tibet tour before any documents will be issued, and travel to the region has become an adventure all on its own. The Tibet Travel Permit, which is now issued by the Tibet Tourism Bureau in Lhasa (and which is soon to have offices in major cities all across China to make the application process faster and more efficient). It is the main required document for traveling in Tibet, and without it, a trip to Tibet is now impossible. Try hitching a ride along the highway now, and you will soon be caught and deported from China. As there are checkpoints everywhere. However, this should not put you off going, as long as you use the correct procedures. 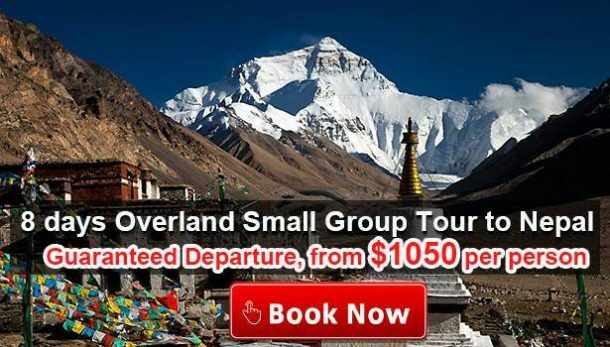 The tour must be booked through a registered Tibet tour operator, such as Explore Tibet Travel Company, and only once the details and itinerary have been completed. The tour has been booked and paid for (or at least the deposit), can the permit be applied for. As the tour operator, we make the application on your behalf, using the details from the tour booking, including the itinerary, and scanned copies of your passport. 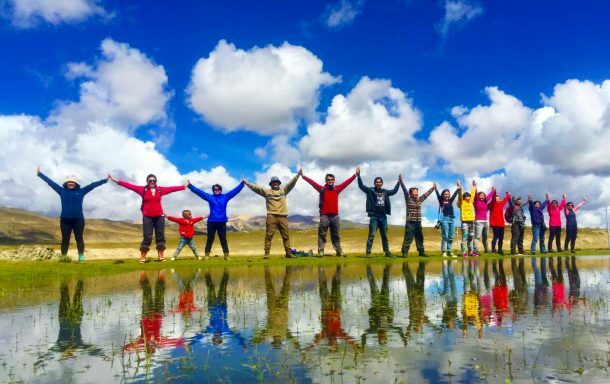 Before you can even have an application made for the Tibet Travel permit, you need two things: a Chinese Entry Visa and a pre-booked tour with a registered Tibet tour operator. However, the exception to this rule is those entering to Tibet from Nepal, who do not require the Chinese Entry Visa, as a Chinese group visa is applied for once you arrive in Kathmandu. If you are entering mainland China, then you will need to apply for a Chinese Entry Visa from the Embassy of the People’s Republic of China in your home country. China does not have a Visa on Arrival service. So all applications must be made in advance. However, it is important that, when making the application for the visa, that you do not mention that you will be traveling to Tibet. Please do not include Tibet in your itinerary, as it can cause problems with the visa. According to Embassy Policy, the visa cannot be issued for travelers to Tibet (according to their itinerary) without a Tibet Travel Permit, which cannot be obtained without a Chinese Entry Visa. While most visas around the world have a fixed fee for all nationals, for China, the fee is dependent on your home country. The exact amount of the fee is available on the Embassy Website for your own country, or through your local Chinese Visa Application Service Centers (CVASC) in the United States, the United Kingdom, Europe, and India. Processing of the visa requires your original passport, with at least 6 months validity remaining at the time of travel; a complete itinerary detailing your travel in China (excluding Tibet); proof of booking for your hotels in China; proof of onward or return travel from China after your tour. A completed application form; two passport-sized photos; and the relevant fee, as per your local CVASC or Embassy website. Once you have your passport and visa returned to you, then you can book the Tibet tour and we can use these to make the application for your Tibet Travel Permit, along with your itinerary and proof of booking from us. For those traveling through Nepal to get to Lhasa, either by flight or traveling overland, you do not need to have a Chinese Entry Visa processed by your local Embassy of the People’s Republic of China. Tourists entering Tibet from Nepal have a different type of passport, known as a Chinese Group Visa. This visa is applied for once you arrive in Nepal, and we apply for it on your behalf, using your Tibet Travel Permit and other relevant documents, including your original passport. Once you arrive in Kathmandu, we will collect your passport and use it to make the visa application, which takes around three working days. You need to be in Nepal at least five working days before your expected date of travel, to ensure that the visa can be arranged without any problems. Once your passport copies are with us, we will make the application with the Tibet Tourism Bureau for your permit, which can take up to 20 days to process at present. However, it rarely does take that long, but it is best to book well in advance, just in case. Using your passport and visa (if applicable), as well as your itinerary and our proof of your tour booking, we will make the application for the Tibet Travel Permit to the Tibet Tourism Bureau in Lhasa, who will receive and process the permit application. Once the application has been approved, the permit and documents used will be returned to us by Chinese Postal Delivery, and we will have the permit sent to your hotel in China. For those that are traveling to Tibet by flight, you will need to have the original permit with you when you collect your tickets and board the flight, or you will not be permitted to board. For those traveling by train, you can use a photocopy or scanned copy of the permit, so we can send this to you by email, for you to print to collect your train tickets and board the train to Tibet. If you have any further questions you can write us at sales@exploretibet.com.